The Open Photo Contest requires Flash 9 to use the voting interface. When the 4 photos are displayed, click on your favorite one. Expect to see some photos displayed multiple times, but treat each round independently. Go with your gut...don't think about it too much. Expect addiction to set in. 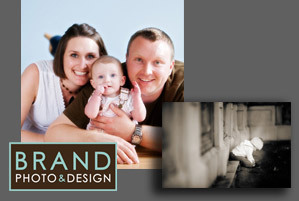 Dan Brand owns Brand Photo & Design with his wife in downtown Indianapolis, Indiana. When he graduated from RIT in early 2003, he swore he�d never photograph weddings because he had always hated attending them. His goal after graduation was to pursue a career in commercial photography. In 2004 he married Brooke and shortly after was asked to fly to Texas to photograph his cousin�s wedding as a favor. With much hesitation, he agreed. That wedding sparked a love and passion for photographing weddings, thus starting his career as a wedding photographer. In January 2007 he and Brooke had a baby girl, which lit a new passion for photography: babies, families, children... portraits. Brooke, who had been working full time as a graphic designer and part time with Dan�s photography business, quit her job, they moved from a small office space into a larger studio, and have been growing their business together over the last year. They are currently building a 7,500 square foot studio in Fishers, Indiana which they are looking forward to moving into in late 2008. With the new studio space and making time to play with his daughter, Dan thinks it may be harder to sneak in playing Wii games, watching the Colts, and traveling, but says �When you love what you do for a living, it�s hard to feel like you�re missing out on free time�. You could be featured too! Sign up and submit your photos and winners will be featured here.